The Reverend Dr. Martin Luther King Jr. Keynote Lecture serves as the hallmark of the MLK Series. The lecture aims to highlight the role of creative endeavor in advancing democracy and equity. Through this annual lecture, RISD acknowledges an individual whose legacy of service and commitment to justice has made an indelible difference. The keynote lecturer is selected, in part, because of her / his consistent demonstration and skillful employment of Kingian values as a model of change. We are excited to announce that Mr. Harry Belafonte will be delivering the keynote address for this year’s MLK celebration series. He will be speaking on the role of “artist as activist” while reflecting upon his life and long history as both an incredibly successful singer and actor and highly influential political, humanitarian, and civil rights activist. 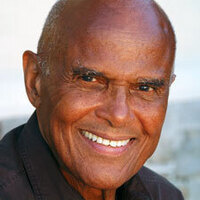 Among other things, the 85 year old Belafonte personally funded many of the activities of the early civil rights movement, stood with Dr. King at the Lincoln Memorial as the latter delivered his famous “I have a dream” speech, served as a UNICEF ambassador, and has remained active in many different programs supporting hunger relief, AIDS awareness, and the need for education. Never afraid to express his opinion, he has drawn both fire and admiration for his outspoken political views. We look forward to bringing this extraordinary individual to spend time with our community. Free Ticket with RISD ID starts January 16 - Carr House front desk. Any remaining tickets will be available to all (including the general public) after January 23. The 2013 MLK Celebration is a collaborative coordination between Intercultural Student Engagement, the Center for Student Involvement, Residence Life, and Community Service. It is sponsored by wide spread financial and in-kind support across the RISD campus community. Simply AMAZING, thoughtful and inspiring! We need more programs like this on RISD campus.